The purpose of Western Hills United Methodist Church is to continue the ministry of Jesus by making disciples through faith, hope and love. Welcome to Western Hills United Methodist Church, where we are focusing on family and faith! Providing a welcome for those seeking a church, Western Hills United Methodist Church (WHUMC) welcomes you! The United Methodist Church was created on April 23, 1968, when The Evangelical United Brethren Church, and The Methodist Church merged. The denomination shares a common history and heritage with other Methodist and Wesleyan bodies. The lives and ministries of John Wesley (1703-1791) and of his brother, Charles (1707-1788), mark the origin of their common roots. The energy and excitement could be felt throughout the community, but there was a void in the community – there was no church. The Methodist District Board recognized the rapid growth of population and that the community could not be adequately served by existing churches in the Western Hills area. 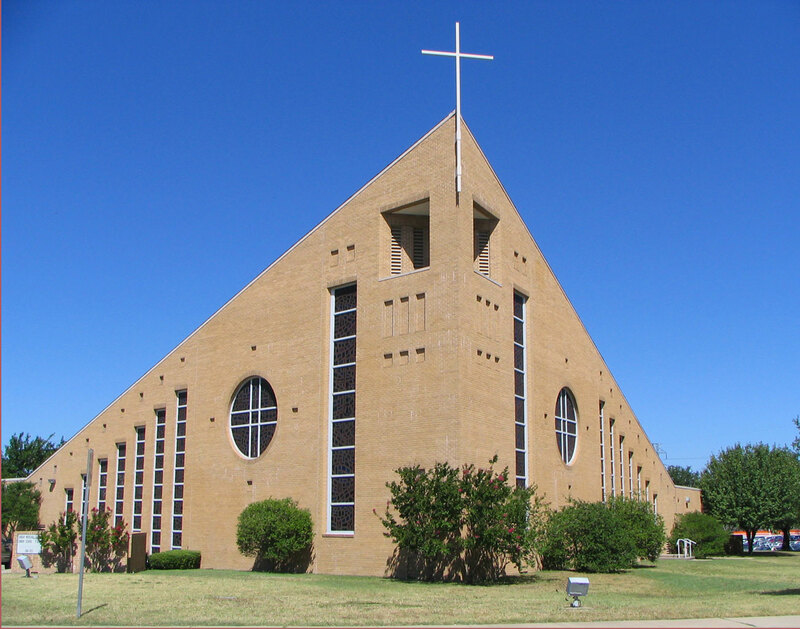 The survey concluded that there was a need for a Methodist Church, and arrangements were made with the Fort Worth Independent School District to rent facilities at Waverly Park Elementary School. However, the church could not use the facilities until September when school started. Many of the potential members met in the Mehaffy’s home in anticipation of the church’s first service. Central Methodist Church was very supportive of Carl and the new church. Book reviews were held, and the proceeds were donated to Western Hills Methodist Church. The youth at First Methodist Church held car washes to raise money for Western Hills Methodist also. As a result of this generosity, Western Hills Methodist Church had $900 in its account before the first service was held. Carl, Jackie, and their two young daughters, Judy and Kay, went to Cokesbury in Dallas to purchase the necessary appointments for the new church. The management was dubious about providing credit but became convinced when the persuasive pastor suggested that he would take his business elsewhere. With love and care, $450 of the $900 account was spent for candlesticks, the baptismal bowl, collection plates, communion trays, and the beautiful cross, all of which the church still uses in its worship services. Hymnals were also included in this purchase. The church continued to meet and grow and groundbreaking for the new church building commenced on Sunday, June 19, 1960 at the current address on Laredo Drive. 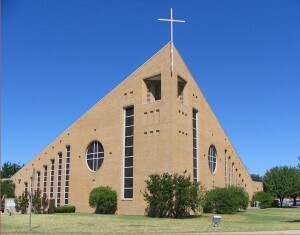 The first service held in the new building was on December 18, 1960. 267 persons were in attendance. In 1965, the educational building was enlarged to accommodate the growing congregation. Carl and his family remained with the church until 1969. In February of 1960, the church purchased its first parsonage at 3012 Conejos Drive. Fifty-seven years, numerous pastors and their families, a new sanctuary, many congregational families and a new parsonage later, Western Hills United Methodist is still going and growing strong! At WHUMC, we are committed to focusing on family and faith! We hope to enhance the spiritual growth of our members and visitors and community by providing sound and meaningful experiences through worship, education, outreach, personal involvement in the ministry of the church, and the general nurturing of the congregation in keeping with the example and teaching of our Lord. We invite all people to join us on this spiritual journey guided by scripture, tradition, experience and reason that leads us to a Christian faith exemplified by the loving relationships with God, others, and ourselves. We are a diverse congregation that shares the Gospel of Jesus Christ and grows spiritually through small group fellowship for study. We hope you will share this important experience with us!